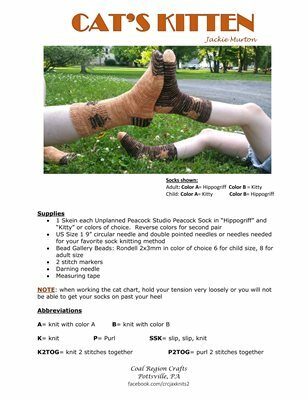 PATTERN: These cute socks feature a cat motif with beaded eyes! Reverse the colors and you can knit a pair for yourself and your special little kitten. NOTE: when working the cat chart, hold your tension very loosely or you will not be able to pull your socks up over your heel.